How Much Do You Know About Mold? The mold damage experts at Daystar Cleaning have gotten very familiar with mold over the past few decades. Our team has seen it all, from small specs of white mold growing on a bathroom ceiling, to hundreds of square feet covered in black hazardous mold spores. With all the different types of mold our team has seen, it is hard to believe that there are still thousands of mold species we have never encounter…and this got our mold removal team thinking. How much do you really know about mold? We have rounded up some interesting mold facts that you may not have known. Mold causes an average of more than five hundred billion dollars of property damage every year. Can you imagine how many homes and businesses in Bay County that would affect? Mold is different than mildew. 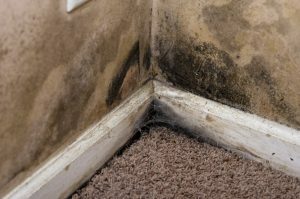 You may have heard the terms “mold” and “mildew” used interchangeably, interestingly enough, mold and mildew are both fungi, but have several differences. Mildew is much easier to remove as it only grows on the surface. Mold, on the other hand, has been known to penetrate beneath surface materials, causing extensive structural damage. Mold has a hard time growing on McDonald’s Happy Meals. There are a few experiments that have popped up on the internet recently that shocked the public. Mold wasn’t growing on Mcdonald’s happy meals, even after 6 years. The main reason for this was the lack of moisture in the Happy Meals contents. Cardiffstudentmedia.co.uk explains this phenomenon in detail. Mold is the main focus for Daniele Del Nero. In fact, Daniele has been known to use flour, paper, and mold to create hauntingly beautiful recreations of real-life houses that time has forgotten. There are over 100,000 thousand mold species that grow in different colors. Contrary to popular belief, the color of the mold doesn’t determine if that particular species is harmful. Some of the most common molds that grow in homes are Aspergillus, Cladosporium, and Alternaria. Stachybotrys Chartarum can also be found in homes but it is less common than other species…but it’s definitely not rare. Mold is everywhere. It’s not surprising to hear that mold is everywhere, especially when there are thousands of species in existence. Mold can be found indoors and out and can exist in both cold and warm climates. Mold does thrive in environments with excess moisture, but certain species can also exist in the dry air as well. Mold is more resilient than you would expect. Most homeowners believe that bleach can kill and remove any mold growing in their home but that just isn’t true. Bleach does have the ability to kill some mold, part of the time, but it definitely doesn’t kill all of the molds and can’t prevent the mold from growing back. Bleach also doesn’t prevent mold from going airborne and finding a new environment to grow in. How many of those mold facts did you know? Do you still have questions pertaining to mold damage or mold removal? Contact our friendly staff at Daystar Cleaning in the Bay County area we can help answer all of your mold damage related questions and concerns.